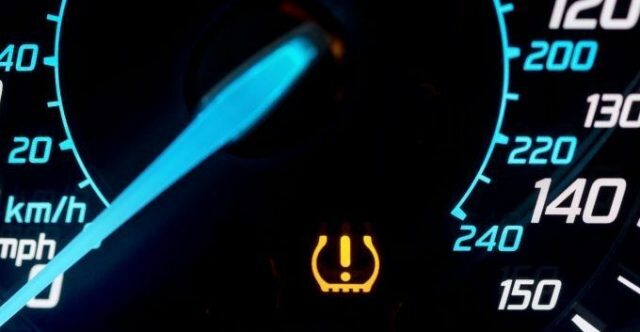 Do you know what this warning light means? Misconceptions surrounding part-worn tyres are potentially putting British drivers in danger, according to an analysis by AA Cars, the AA’s used car website. One in five (19%) drivers have bought used tyres in the past and while 10% would never buy part-worns again, a further one in eight (13%) plan to do so in the future. Myths are undoubtedly helping to fuel the purchases of secondhand tyres – while only 7% of motorists believe that used tyres are just as safe as new equivalents, there’s a degree of ambiguity about the perceived value of part-worn tyres. A third (33%) of drivers believe that they are either more cost effective than new ones or just don’t know whether new or used tyres offer better value. As well as question marks over the value of used tyres, a large number of UK drivers could find themselves facing legal trouble for their lack of knowledge – half (62%) of Brits guessed incorrectly or simply didn’t know the correct legal minimum tyre tread depth for cars in the UK. Six in 10 (56%) also weren’t aware that the maximum fine for driving on worn-out tyres was £2,500 and three penalty points. The AA-Populus poll of 20,799 drivers found that 42% of Brits didn’t know that a new tyre could have as much as 8mm worth of tread. In contrast, part-worn tyres often are sold with as little as 2mm worth of tread – just 0.4mm away from the legal limit of 1.6mm. Underlining this appetite for part-worns is the fact that one in five (21%) drivers believe that most used tyres sold in the UK actually comply with regulations. In reality, the vast majority (98%) of secondhand tyres probably don’t. James Fairclough, CEO of AA Cars said, “Despite some really effective campaigns from the likes of TyreSafe warning consumers about the dangers of secondhand tyres in recent years, it’s clear that a number of prevailing myths about part-worns continue to underpin their sales. “The safety case for buying new over used tyres has been well-documented but it’s important that drivers understand the argument that part-worns offer better value for money is a fallacy too. Secondhand tyres might boast cheaper price points than new ones, but the tread left on these tyres is typically materially less, meaning you’ll be looking for yet more replacements in no time at all. It’s also worth considering that a large proportion of the secondhand stock in the UK actually fails to meet the minimum legal safety standards. “Car buyers should be mindful that, in the past, nearly-new and used cars have been found to have been fitted with much older tyres. A look at the dot code on the sidewall of the tyre can give you an indication of how old the tyres are – the last four digits of this code can tell you, respectively, what week and year the tyre was created. “Since it’s often hard to discern whether tyres are up to scratch when you head down to the forecourt, a few simple checks can put your mind at ease when buying your next car; the ‘20p test’ will help to establish – at a glance – the depth of tread left on the tyres; it’s also worth taking a pressure gauge, or asking for a gauge at the forecourt, to see if the car’s tyres are correctly inflated. You can find out more information by visiting the TyreSafe website.